Hot Snuggies for the 2012 Holiday Season! Snuggies have been a hot item for nearly a decade. It all started with the basic Snuggie which included Burgundy, Royal Blue and Sage Green. 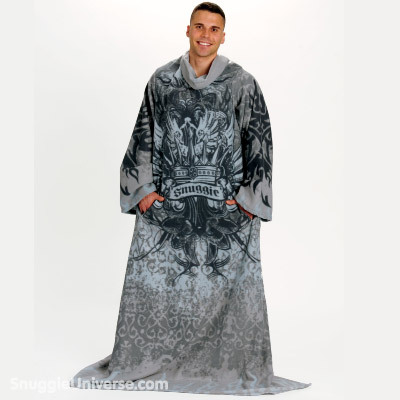 Next came Designer Snuggies with your choice of Leopard, Zebra or Camel. The next big step came when Snuggies became available in your favorite sports teams. Sports Snuggies available include College, MLB, NFL, NBA and NHL. With holiday season now here, what are the top Snuggies for 2012. Here at SnuggieBlanketShop.com we have you covered.